The kids at school remind me every time I see them "Your baby is getting bigger!" 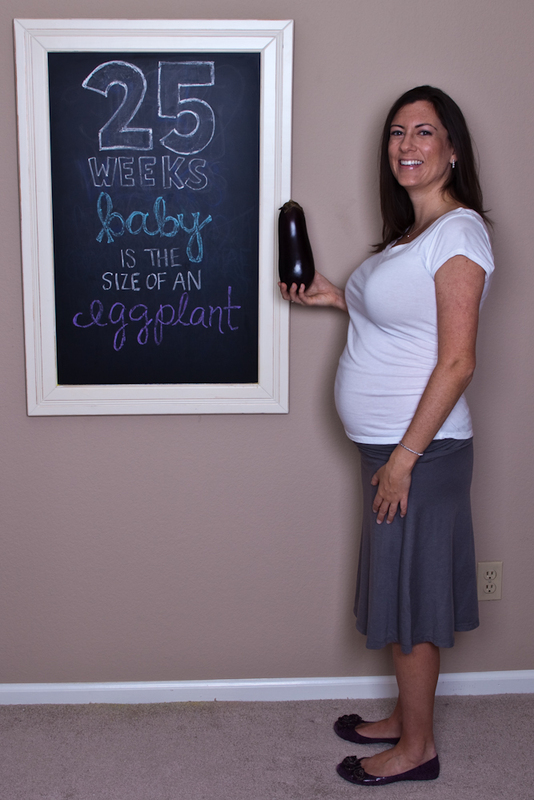 Indeed, little one is now the size of an eggplant, and my uterus the size of a soccer ball! I've been keeping up with my weekly prenatal yoga (which I love) and have been trying to get more walking time in. I love how you held up the eggplant to show the size! I can't believe the baby is that big already! I had a peppermint mocha this morning from Starbucks and it was delicious!